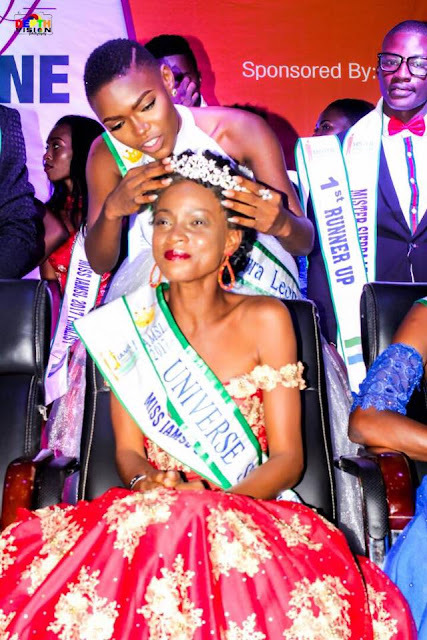 LUSAKA, Zambia - Isabel Chikoti (26) was crowned Miss Universe Zambia 2017 at the Mulungushi International Conference Centre in Lusaka on August 26. 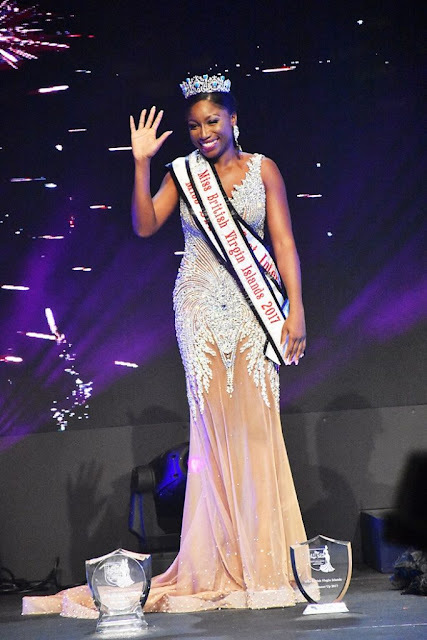 She will represent Zambia in Miss Universe 2017 in Paradise, Nevada, United States on November 26. 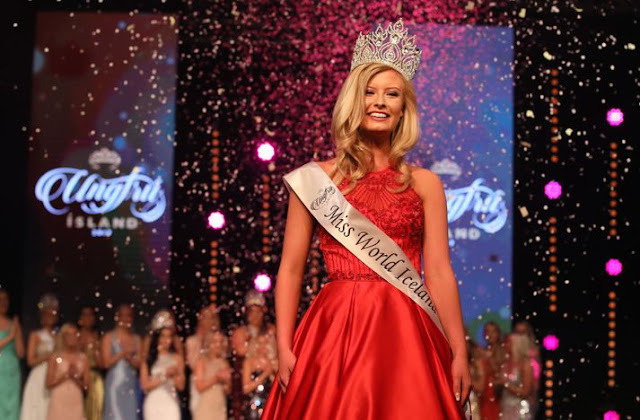 REYKJAVIK, Iceland - Ólafía Ósk Finnsdóttir (20) was crowned Miss World Iceland 2017 at the Harpa Concert Hall in Reykjavik on August 26. She will represent Iceland in Miss World 2017 in Sanya, China on November 18. 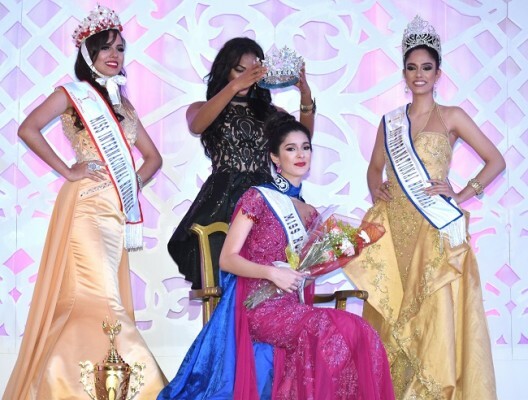 VIENTIANE, Laos - Souphaphone Somvichith (20) was crowned Miss Universe Laos 2017 at the Lao National Convention Center in Vientiane on August 26. She will represent Laos in Miss Universe 2017 in Paradise, Nevada, United States on November 26. 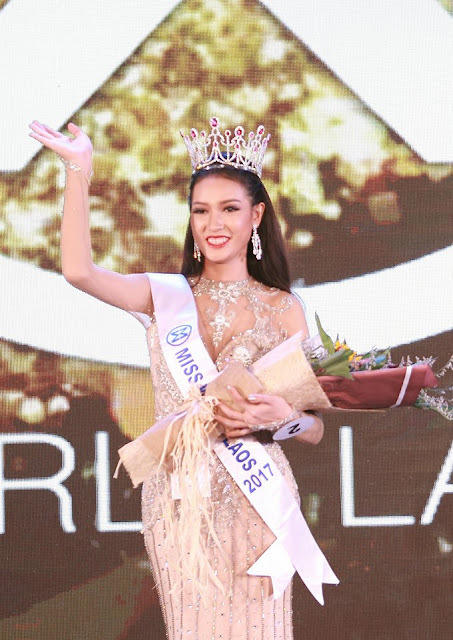 At the same event, Tonkham Phonchanhueang (20) was crowned Miss World Laos 2017 and she will compete in Miss World 2017 in Sanya, China on November 16. 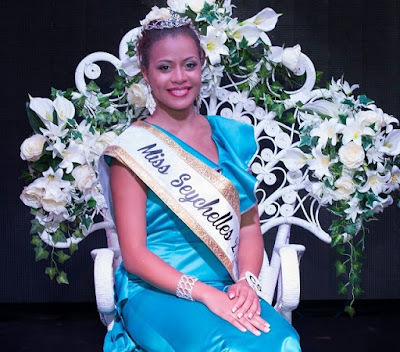 SANTIAGO, Dominican Republic - Carmen Isabel Muñoz Guzmán (24) was crowned Miss República Dominicana Universo 2017 at the Grand Theatre of the Cibao in Santiago on August 26. She will represent the Dominican Republic in Miss Universe 2017 in Paradise, Nevada, United States on November 26. 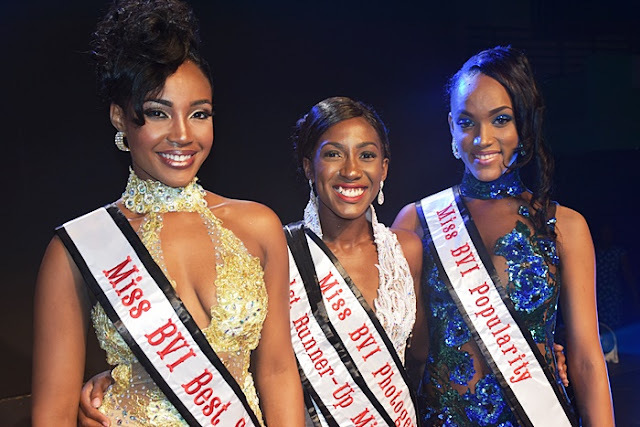 KINGSTON, Jamaica - Davina Bennett (21) was crowned Miss Universe Jamaica 2017 at the Jamaica Pegasus Hotel in Kingston on August 26. She will represent Jamaica in Miss Universe 2017 in Paradise, Nevada, United States on November 26. 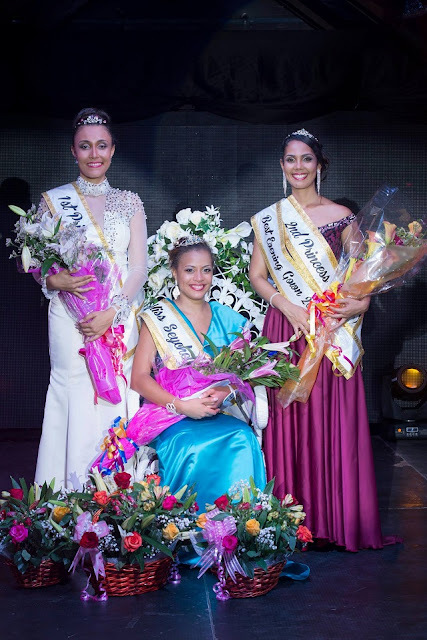 PANAMA CITY, Panama - Laura Sofía de Sanctis Natera (20) was crowned Señorita Panamá 2017 at the Atlapa Convention Center in Panama City on August 25. She will represent Panama in Miss Universe 2017 in Paradise, Nevada, United States on November 26. 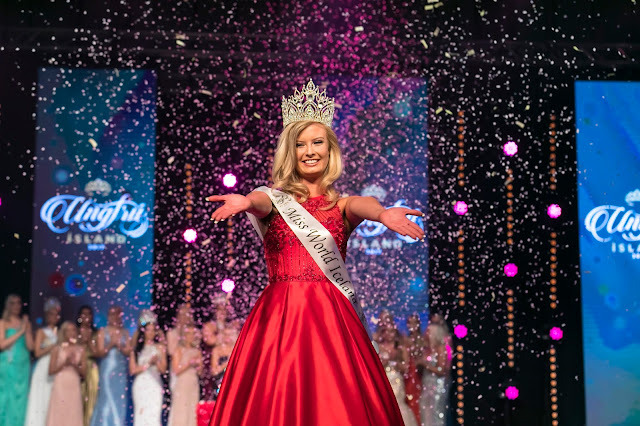 GLASGOW, Scotland - Romy McCahill (23) was crowned Miss Scotland 2017 at the Hilton Glasgow on August 24. She will represent Scotland in Miss World 2017 in Sanya, China on November 18. 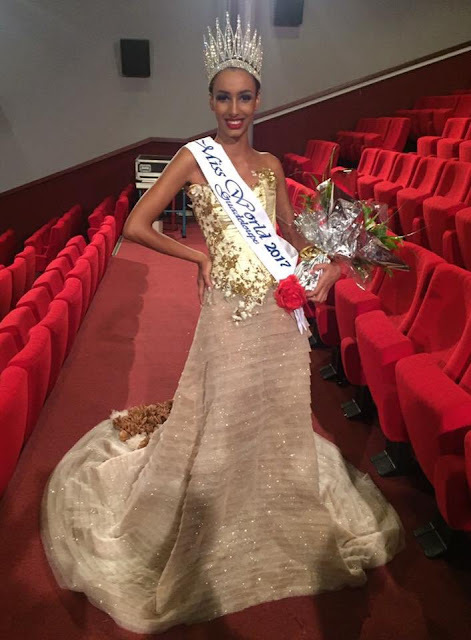 LAMENTIN, Guadeloupe - Audrey Berville (20) was crowned Miss World Guadeloupe 2017 at the Ciné Théâtre de Lamentin on August 19. 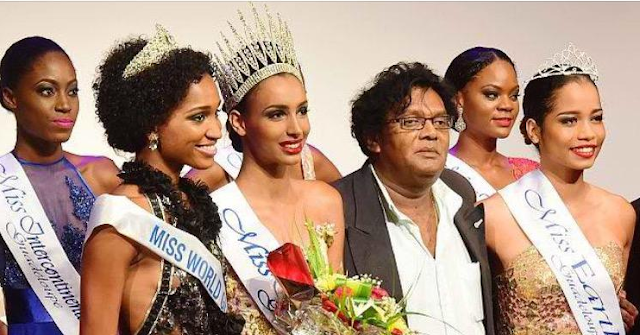 She will represent Guadeloupe in Miss World 2017 in Sanya, China on November 18. GUATEMALA CITY, Guatemala - Isel Analí Súñiga Morfín (22) was crowned Miss Universe Guatemala 2017 at the Parque de la Industria in Guatemala City on August 21. She will represent Guatemala in Miss Universe 2017 in Paradise, Nevada, United States on November 26. 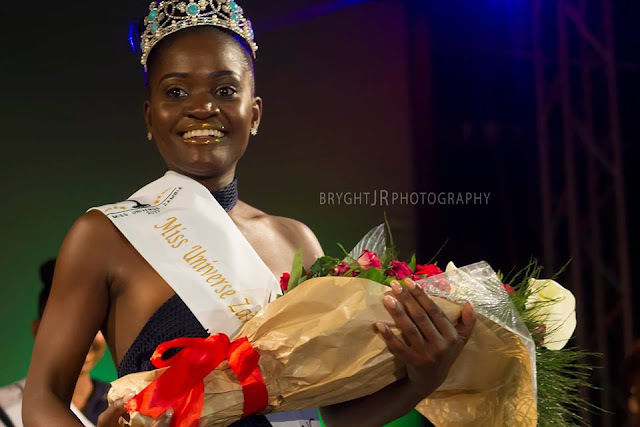 NEW YORK, New York - Rafieya Aasieya Husain (25) was crowned Miss Universe Guyana 2017 at the York College in New York, New York on August 19. 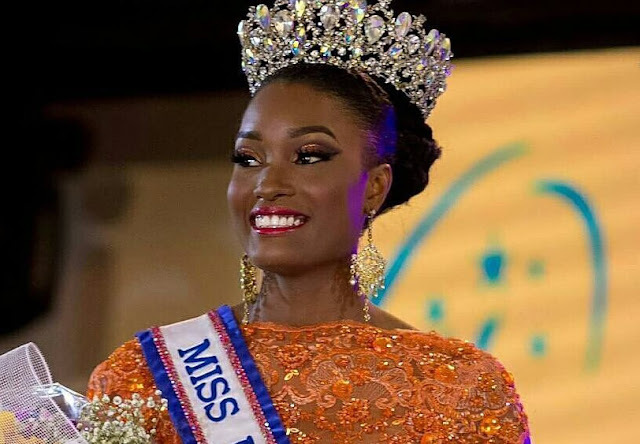 She will represent Guyana in Miss Universe 2017 in Paradise, Nevada on November 26. 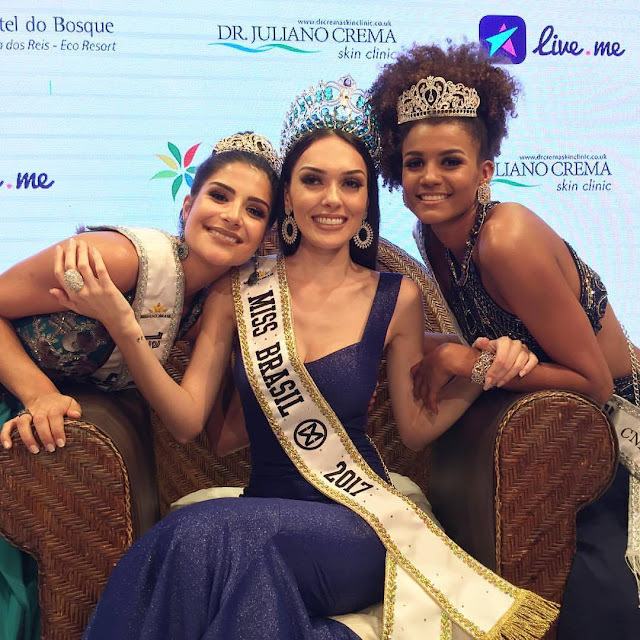 ILHABELA, Brazil - Monalysa Maria Alcântara Nascimento (18) was crowned Miss Brasil 2017 at the Teatro de Vermelhos in Ilhabela on August 19. She will represent Brazil in Miss Universe 2017 in Paradise, Nevada, United States on November 26. 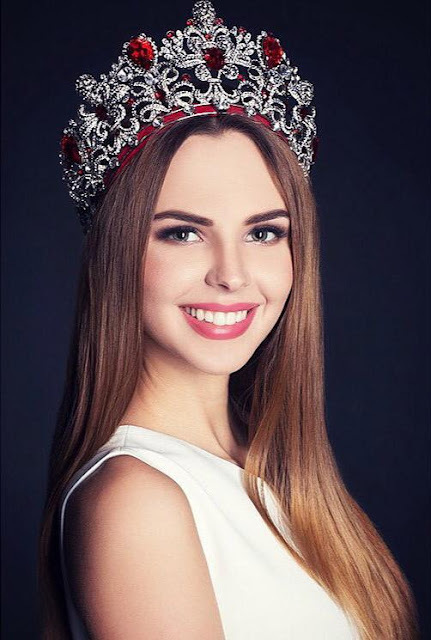 Magdalena Bieńkowska (24) will represent Poland in Miss World 2017 in Sanya, China on November 18. Đỗ Mỹ Linh (20) was appointed Miss World Vietnam 2017 and will represent Vietnam in Miss World 2017 in Sanya, China on November 18. 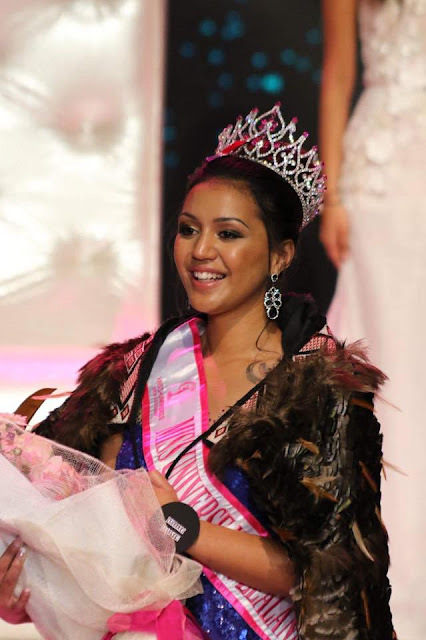 AUCKLAND, New Zealand - Harlem-Cruz Atarangi Ihaia (18) was crowned Miss Universe New Zealand 2017 at the SkyCity Theater in Auckland on August 12. She will represent New Zealand in Miss Universe 2017 in Paradise, Nevada, United States on November 26. 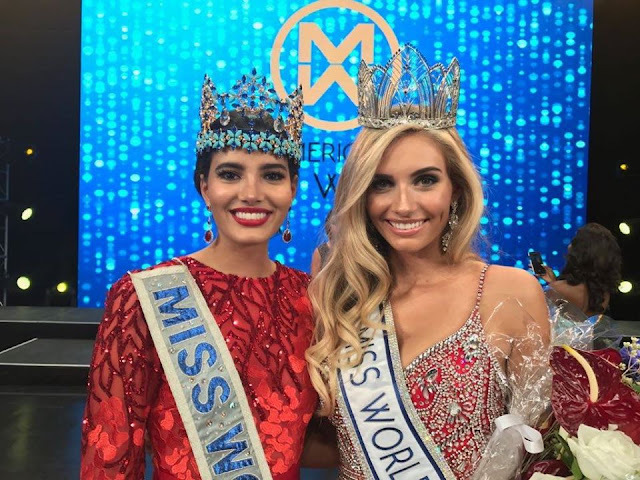 ORLANDO, Florida - Clarissa Miriam Bowers (19) was crowned Miss World America 2017 at the Linda Chapin Theater of the Orange County Convention Center in Orlando, Florida on August 13. She will represent the United States in Miss World 2017 in Sanya, China on November 18. 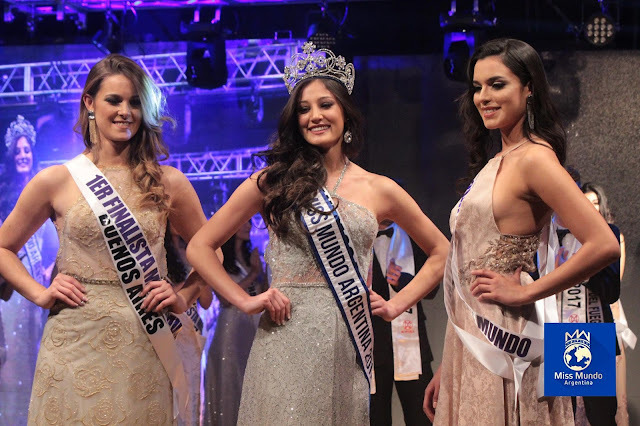 ANGRA DOS RAIS, Brazil - Gabrielle Vilela de Souza (25) was crowned Miss Mundo Brasil 2017 at the Hotel do Bosque in Angra dos Reis on August 12. She will represent Brazil in Miss World 2017 in Sanya, China on November 18. 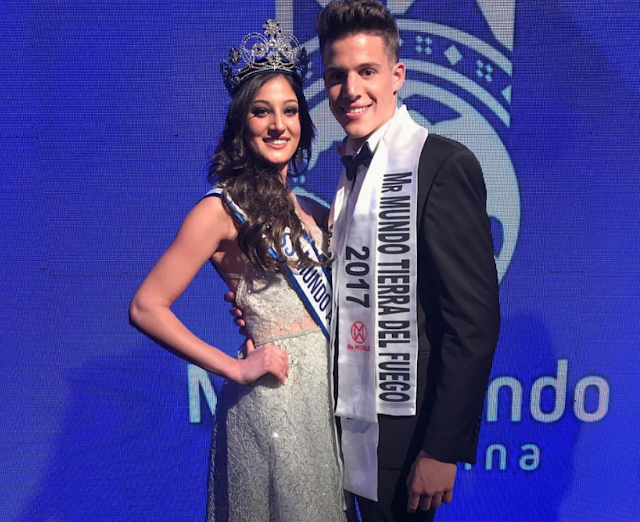 SAN RAFAEL, Argentina - Avril Marco (20) was crowned Miss Mundo Argentina 2017 at the Alfredo Bufano Congress and Exhibition Center in San Rafael on August 18. She will represent Argentina in Miss World 2017 in Sanya, China on November 18.